Last week the Federal Open Market Committee under Chairman Jerome Powell blinked, again. Last week, The Wall Street Journal reported what bond traders and the readers of The Institutional Risk Analyst have known for months. Rate hikes are on hold and the FOMC is preparing to end the shrinkage of the Fed’s system open market account (SOMA) portfolio. With the financial economy slowing and housing in a swoon, there may be no rate hikes at all in 2019 and maybe even a resumption of quantitative easing (QE). But no surprise. The post 2008 world has seen the death of many long-held beliefs, in particular the idea that the US central bank is here to fight inflation. Jim Cramer of CNBC hit the proverbial nail on the head last November when he questioned how the Fed can talk about “normal” when things are decidedly not normal at all and largely as a result of FOMC policy actions. Bernanke likes to pretend that he saved the world following 2008, yet in fact he actually sacrificed any notion of Fed credibility with respect to inflation for another experiment with -- wait for it -- the wealth effect. This widely discredited notion remains today the key driver of FOMC policy actions. The Fed’s dual mandate from Congress includes full employment and price stability. But to look at recent policy suggests members of the FOMC cannot read federal statute or do simple sums. Causing asset prices to soar by double digit rates is not price stability – it is inflation, plain and simple. Please, Chairman Bernanke, do show us where it says in the Federal Reserve Act that the FOMC is allowed to employ asset price inflation as a policy choice. 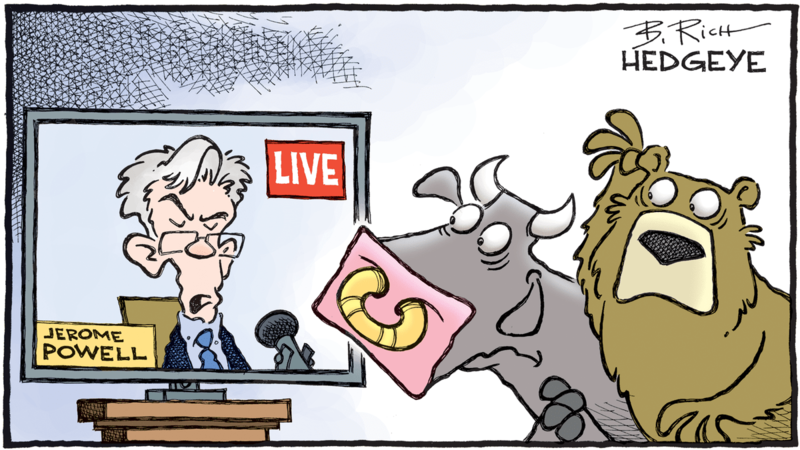 In the Orwellian newspeak of the Federal Reserve System, inflating the value of stocks, bonds and real estate to absurd levels is a form of economic “stimulus.” Never mind that this vast act of asset price inflation did not help the majority of Americans. Indeed, the biggest impact of the Bernanke/Yellen asset inflation seems to be preventing a whole generation of younger Americans from buying a new home. As you read these words, real estate markets around the US are starting to revert to the mean, suggesting that the great Bernanke experiment with the wealth effect is ending. Mind you, the adjustment in real estate markets is not happening gradually, but all of a sudden to paraphrase Hemingway. Similar to the volatility seen in debt and equity markets, the price discovery pattern visible in many heretofore red hot residential housing markets is similar to recent equity market volatility – huge downward spikes in home price sales volumes. Prices will eventually follow when sellers capitulate. 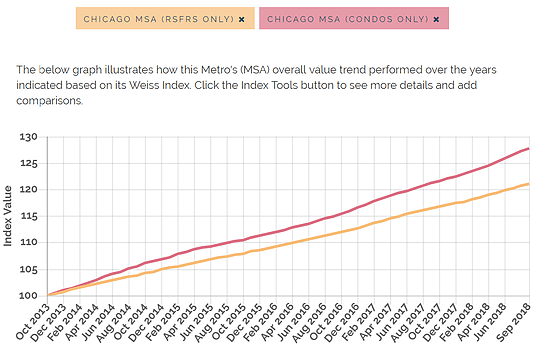 One large market caught in the downdraft is Chicago, a sleepy Midwest MSA that only started to see home price appreciation relatively late in the game. Markets such as Southern California and Florida started to rebound even before 2012, but Chicago was essentially dead until 2013 but then began to climb steadily. Since then, the index value for homes in Chicago has risen 25 points, according to Weiss Analytics (WA) home price index. Note: WGA LLC is a shareholder in WA. In the 12 months through October 2018, residential home prices rose 3.6% and condos by better than 5%. In the past three months, however, prices have begun to collapse in Chicago as volumes have disappeared. So, Chairman Bernanke, is this an example of “price stability?” Nope. 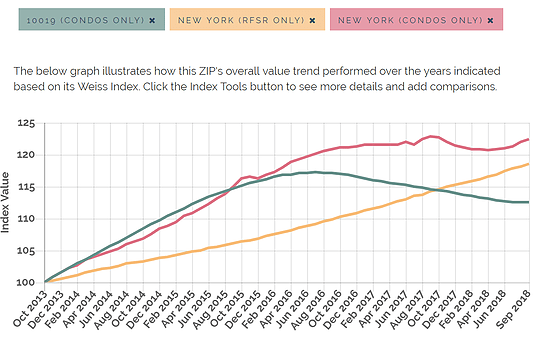 Let’s go east to New York City, where prices along Billionaire’s Row on Central Park South are down single digits in the past year after rising 30% over the past decade. Indeed, condo prices along CPS have been falling since 2016. As in Chicago, sales volumes in NYC's more toni areas have dried up as the gap between buyers and sellers has widened. Of note, single family residential homes in the greater New York MSA have barely moved in the past decade, but are expected to increase a couple of percent on average even as prices in New York City’s most desirable areas sag. 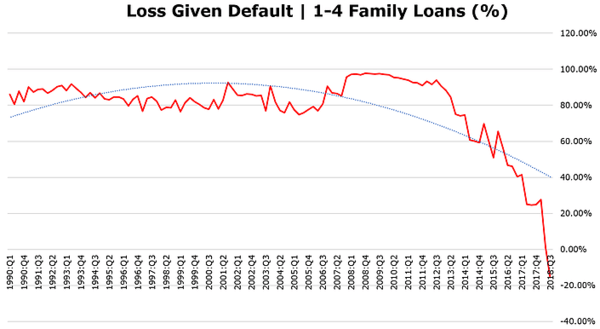 Of course, housing price charts are great fun, but the truly scary chart is the one that also remains our favorite, namely loss given default (LGD) on the $2.5 trillion in single family mortgages owned in portfolio by US banks. In Q3 2018, the LGD or net credit cost on this portfolio, which represents one quarter of all mortgages in the US, was negative by almost 16%. This means that, on average for every mortgage that defaulted, the bank make a profit after repaying the loan in full. Think about how much the prices for homes backing the average bank owned mortgage had to rise to generate such a result as shown in the chart above. Again, Chairman Bernanke, is this sort of behavior in asset prices consistent with “price stability?” Nope. Did this enormous skew in home prices caused by QE and “Operation Twist” help Americans create jobs, or build or buy a home? Nope. We generated a lot of real estate commissions, but much of the benefits, at least for now, have gone to the banks and investors who own residential credit risk. 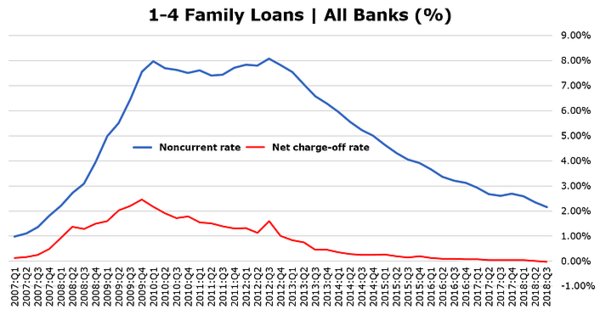 As US home prices revert to the long-term mean, the key question that arises in the minds of many risk managers is when will loan default rates start to rise? Even if the FOMC does not raise the target for Federal Funds or ends the runoff of the Fed portfolio earlier than expected by investors, the pace of Treasury debt issuance will continue to drain liquidity from the credit markets and force rates higher. Indeed, as we’ve stated previously, we full expect the Fed to reverse course entirely, end rate increases and start growing the SOMA portfolio to keep pace with US government debt issuance. But none of these expedients are likely to prevent the repricing of the US housing market, which after half a decade of irrational exuberance c/o the FOMC is falling back to earth due to a lack of customers. Look for housing credit costs to rise significantly by the 2020 general election. The CLO market, for the record, saw its largest ever issuance in 2018. As in Q1 2016, when China concerns killed the ABS market for six months, the Street is crossing its collective fingers, hoping that spreads will narrow so that some of these deals will get priced. Don’t hold your breath. Institutional new issuance of CLOs declined in December to $3.9 billion, which was the lowest institutional issuance in 2018. The liquidity that has exited the sector since Thanksgiving is unlikely to return. 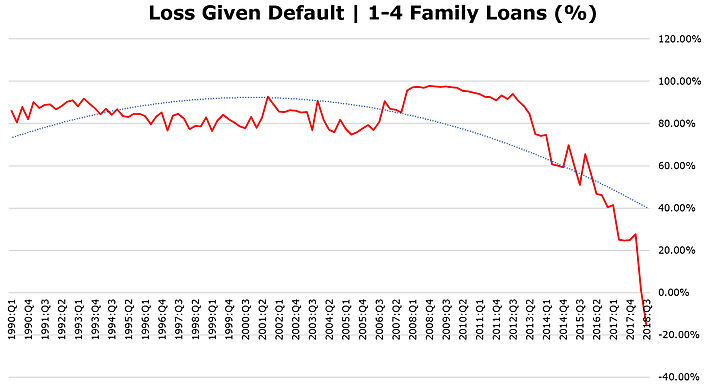 And again, as with residential credit exposures, the key question in the minds of CLO investors is this: When will default rates start to rise significantly? Nobody has the precise answer to that question, but a reasonable assumption is that the volatility of the change in default rates will be markedly higher than in previous credit cycles thanks to QE and "operation twist." Stay tuned.